Dave Wiley has more than 25 years of experience in finance, investments, business valuation, and continuing education for finance professionals. He most recently served as a Vice President and Division Manager for Kaplan Professional, where he directed all CFA seminars worldwide. At Kaplan, Mr. Wiley developed and wrote content for the CFA, Financial Risk Manager (FRM), and Chartered Alternative Investment Analyst (CAIA) instruction materials. He taught courses and developed content on the topics of Equity and Alternative Investments, Real Estate, Corporate Finance, Derivatives, Portfolio Management, and Ethical and Professional Standards. Prior to joining Kaplan Professional, Mr. Wiley started and ran two companies which provided CFA preparation materials for CFA candidates. He conducted CFA seminars in the UK, Switzerland, and Italy, and asset allocation workshops for Ibbotson Associates. Before entering the field of financial education, Mr. Wiley served as a Vice President at Banc One (predecessor to JP Morgan Chase), where he held various responsibilities, including budgeting, strategic planning, financial planning and corporate finance. In addition to his professional duties, Mr. Wiley serves as the President of the Dallas-Fort Worth CFA Society. He has also served for over 20 years as the Education Chair and as a Board Member for the Society. Mr. Wiley provides education, corporate finance, and expert testimony consulting services to businesses and law firms nationwide. He specializes in written reports and oral testimony on matters including, but not limited to, investments, damages, asset allocation, business valuation, securities research, portfolio management, and fiduciary duties and responsibilities. 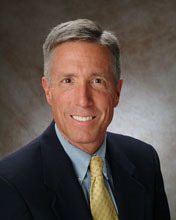 Mr. Wiley has performed valuations of numerous businesses in a variety of industries; assessed economic damages relating to lost wages due to injury or death; analyzed portfolios to address proper asset allocation and portfolio management practices including compliance with proper fiduciary responsibilities, and analyzed trust performance including suitability of asset class investment percentages. He has testified numerous times on behalf of law firms and insurance companies nationwide.